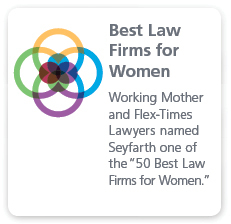 Seyfarth Shaw at Work is the premier legal compliance solutions and management training company, providing engaging employment law related training over a wide variety of topics and platforms. 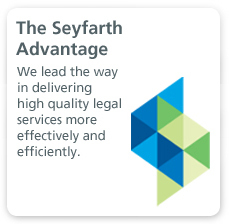 Seyfarth Shaw at Work is a subsidiary of our firm and was created to formalize our training capabilities. We are committed to partnering with clients to deliver legally accurate, highly effective training programs to all levels of their organization. 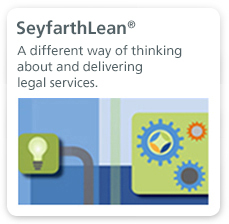 All of our courseware is proprietary and is developed by a central team, partnering with Seyfarth Shaw to create course content. We offer training solutions because we know that having sound policies and providing legally accurate training on these policies, delivered to all levels of the organization, will protect against legal liability and exposure to costly litigation. Time and again, it has been shown that a small investment in training can save an organization from negative publicity, disruptive workplace conflict and the risk of costly settlements and high jury awards. Training also helps to create a respectful and productive work environment.